The name “Ko’olani” in Hawaiian means the balance that upholds the heavens. Well put, as the Ko’olani luxury building is a great place to come home to after a long, hard workday. Located right at the meeting point of Ala Moana and Ward Centers, Ko’olani is unique in the fact that you will get magnificent ocean views on one side of the building and majestic mountain views on the other. Minutes from downtown, Waikiki, the airport, and just about everything else on the island of Oahu, Ko’olani is also situated in an area that allows for great dining, fantastic shopping, tons of activities and shopping, and of course, the beach! 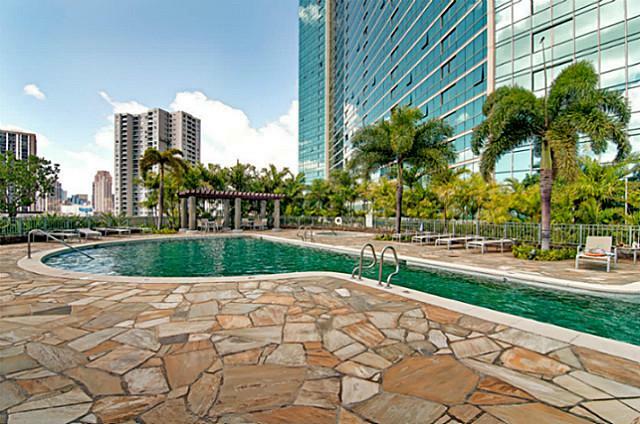 Tons of features and amenities present themselves in this Honolulu luxury living building. An elegant lobby is a great place to start, as it sets the tone for the rest of the building. Homeowner’s amenity level includes a Business center, boardroom and game room. The party room with adjacent kitchen, DVD viewing theater, and billiard room can also be found in this building. Wireless internet access available in common areas, which will make your guests happy. Step outside and you will find that the amenities are just beginning, as there is an outdoor landscaped recreation deck with swimming pool and spa. Lighted tennis courts, putting green, barbeque areas, and walking/jogging path complete the ensemble of luxury at the Ko’olani. The Ko’olani building is highly sought after, and if you are lucky you can be one of the people to close on an amazing unit in one of Oahu’s finest luxury living buildings. To give you a sample of what is available, here is a current unit available in the building. As you can see, nothing is spared when it comes to luxury living, as demonstrated with the listing below. While all of the Ko’olani units offer something special, this particular unit is located on the highly sought after Diamond Head corner of the building. This 3 bedroom, 3 bathroom Penthouse offers almost 2,500 square feet of living space all amazingly laid out through split-levels. The third level even leads out to a private 378 square foot rooftop lanai. Here you will find amazing views of both the ocean and the mountains. 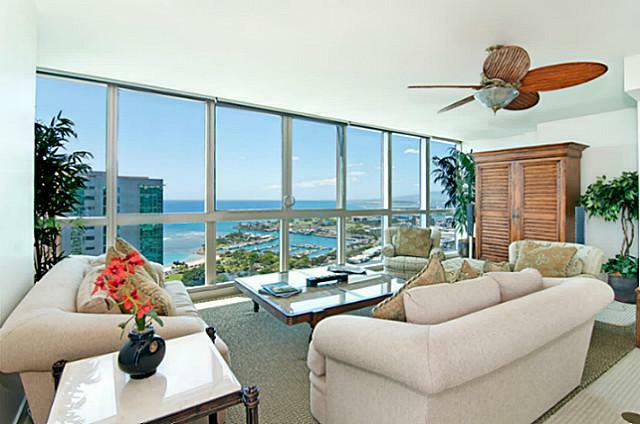 Luxury living awaits you at Ko’olani so take a few minutes to find out more about this listing and others Ko'olani condos today!